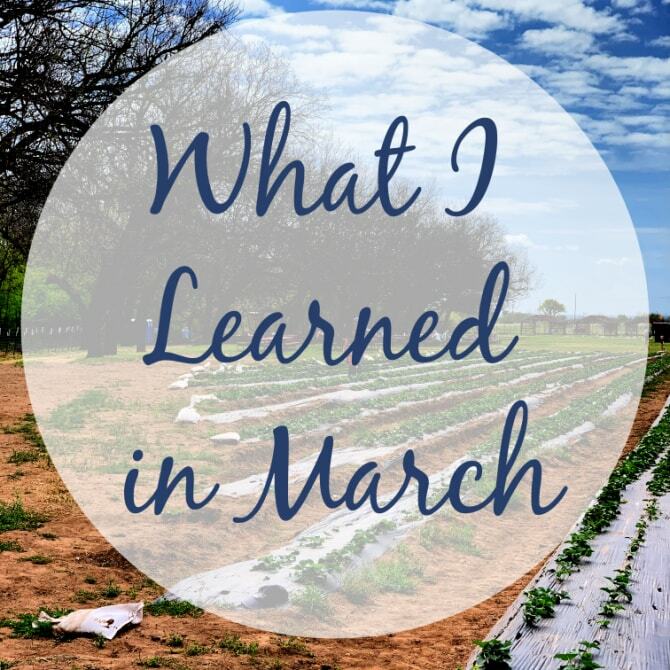 As I mentioned in Friday’s monthly recap, March was a rather tumultuous month for our family. We have had a lot going on, with several big changes on the horizon and a number of important decisions that need to be made. To top it off, I haven’t been at my physical best lately. This month of illness and stress has taught me that, when circumstances are rocky, contemplation and reflection are among the first things to go. I’ve been working on autopilot for the last several weeks, hardly stopping to reflect on what is going on in and around me. And yet. . . even while I’ve been temporarily blinded to my surroundings and inner workings, life still has much to teach me. Here are just a few key takeaways from this rather hazy month. 1. Our family is surrounded by incredible community. Often when I’m going through a challenging period, I keep my struggles to myself until I’m in a healthier place and ready to share. This month, I knew there was no way I could carry my burdens on my own and reached out to friends and family for support. Their loving response blew me away! All month long I received a steady stream of playdate invitations, countless text messages from friends who were checking in, and numerous (genuine) offers of help. Not only did the experience open my eyes to our amazing community, it was a powerful reminder of the importance of vulnerably asking for support when I need it. 2. When I’m struggling to feel joyful, it’s helpful when others are enthusiastically optimistic on my behalf. Though my friends and family have been incredibly understanding of my challenges this month, NONE of them joined me in my personal pity party. Instead, they highlighted the positive aspects of our current circumstances and invited me to see God’s grace and provision in all that our family is experiencing. My therapist asked if I felt their reactions were insensitive or demeaning of my emotions, but I actually found the opposite to be true: my community was able to feel joy and excitement on my behalf, and their interpretation of my experiences helped me to eventually embrace this same optimistic perspective. 3. Passing a milestone birthday is cathartic. In the months leading up to my thirty-fifth birthday, I felt myself being overcome by the same emotional turmoil I experienced just before turning thirty. I was feeling my age, and worrying that life was passing me by. Yes, thirty-five is relatively young, but it’s older than I have ever been . . . and I simply wasn’t ready. That said, when I woke up on my birthday morning, the pre-birthday cloud that had been looming over me had vanished. I felt lighter, happier, possibly even younger. 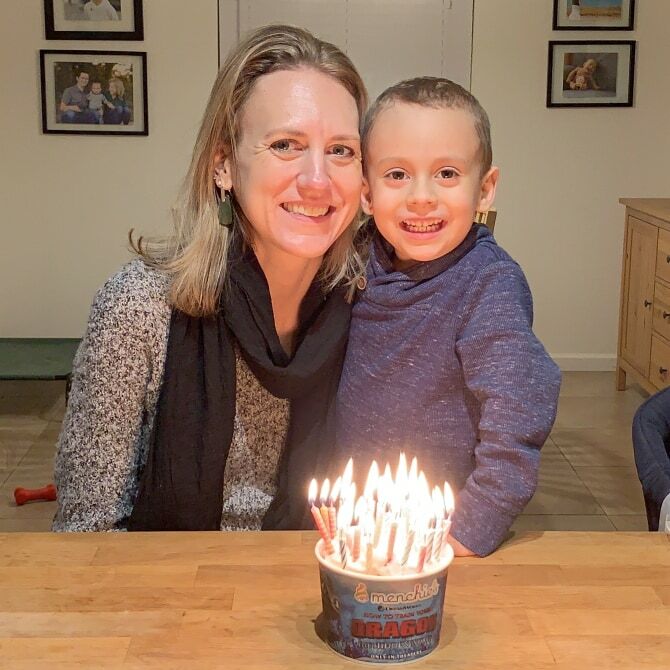 I was able to experience gratitude for the wrinkles on my face, the gray streaks in my hair, and the extra candle on my cake frozen yogurt, because each one symbolizes hard-earned life lessons, added maturity, and a healthier perspective on life. I am infinitely grateful for all that God has done in and through me over the last three and a half decades, and I look forward to seeing what else He has in store! 4. The Japanese have a term for a common bookworm problem. In his most recent weekly newsletter, Tim Ferris shared the Japanese term tsundoku, which is defined as “acquiring reading materials but letting them pile up in one’s home without reading them.” I know I’m guilty of this (especially when it comes to reading materials piling up on my Kindle), and I’ve heard from many fellow bibliophiles who suffer from this same overabundance of books. The word can also be used to refer to books ready for reading later when they are on a bookshelf—in other words, a TBR. I love it when other languages can offer such explicit definitions for concepts that are difficult to convey in our native tongue. If you hear me referring to my tsundoku in the future, you’ll know what I’m talking about! 5. You can book a private tour of a fire station. 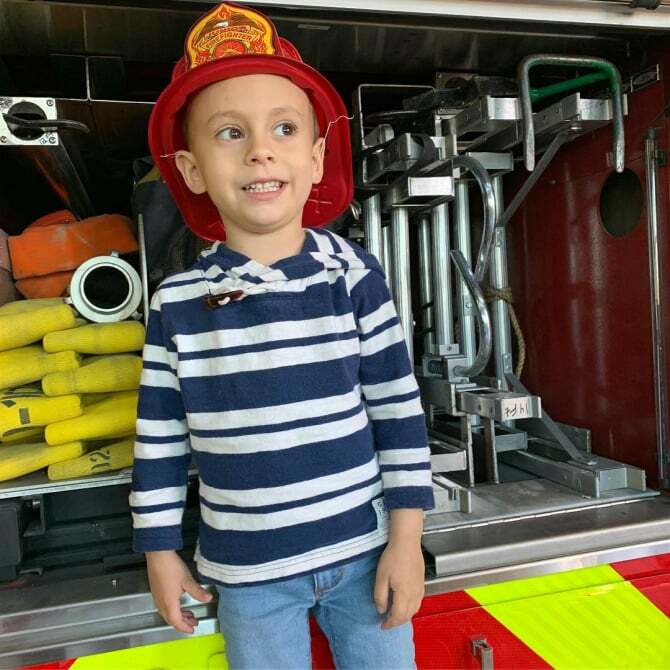 As I shared in Friday’s recap, Charleston and I were invited this month to a friend’s birthday party at the fire station. When we received the invitation, I assumed I’d misinterpreted the location because I had no idea that birthday party tours were an option. I used the party as an opportunity to plaster the firemen with dozens of questions. I enjoyed learning about how they care for their vehicles (which cost well over $1 million) and how they fill their time outside of emergency calls. I was particularly tickled to learn that they regularly get called to rescue cats (and one time an iguana!) from trees—I’d always assumed that was a myth! 6. White jeans don’t have to be scary! As an inveterate klutz, I’ve always been intimidated by white clothing, especially white pants. Last month, I needed to purchase a pair of white jeans to fit the outfit color scheme for our Austin Moms Blog photo shoot. I’d imagined myself wearing the pants for the shoot, then passing them on to Good Will because there was no way white jeans would fit into my everyday life. However, the jeans were so comfy and flattering, I decided to hold onto them and have worn them at least once per week since. Unlike dark denim, I do need to wash them after every wear, but so far I’ve managed to keep them unstained and looking as good as new. It’s great to have an “edgy” (for me), easy-to-match wardrobe option that I feel good in. 7. Leaning into stressful situations is a useful method for coping with anxiety. I LOVED this candid discussion about anxiety and mental health and was somewhat taken aback when the interview guest mentioned diving headfirst into frightening or stressful situations as a way of keeping her panic attacks at bay. I have struggled with anxiety, depression, and stress for most of my life—but find these emotions are rarely concurrent. While I often slip into anxiety or depression in the aftermath of a stressful situation, I don’t know that I’ve ever had a panic attack while still immersed in a deeply stressful project or life event. Sometimes I wonder if I’m seeking out stress in order to keep those more difficult emotions at bay. I don’t know that this is necessarily a healthy way of coping with anxiety and depression, but it was interesting to hear that I’m not the only one who has done this. 8. A long, hard winter paves the way for an even more beautiful spring. Though I don’t have hard data to back this up, I would say that this past winter felt longer and harsher than our previous three winters here in Austin. However (and I have heard many other Austinites back me up on this one), this spring is the most vibrant we have seen. 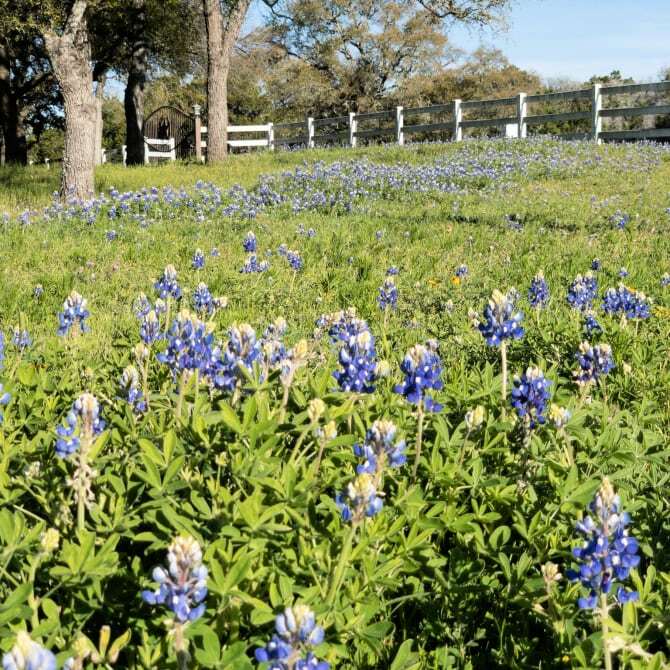 The bluebonnets are brighter and more abundant, the grass and the tress are greener than ever, and all of central Texas seems more alive than ever before. What a poignant metaphor for life: though none of us wants to endure a dark season, life’s challenges tend to pave the way for some of God’s most incredible (and most appreciated) blessings.